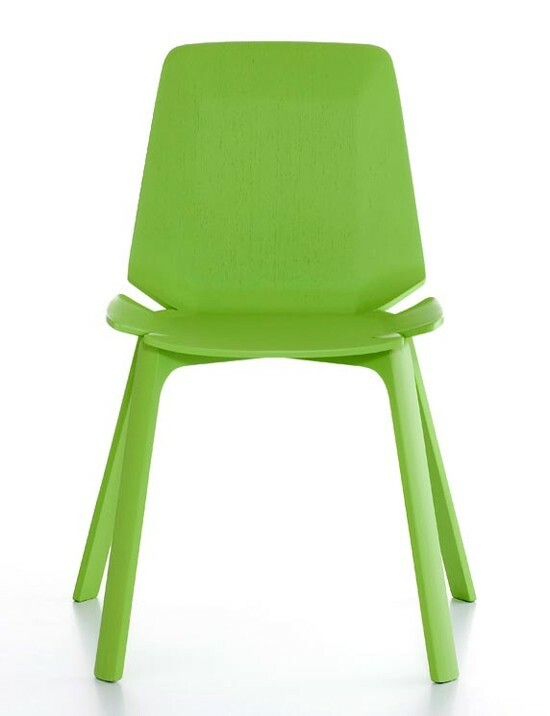 An innovative dining chair producing a visual and real perception of lightness. 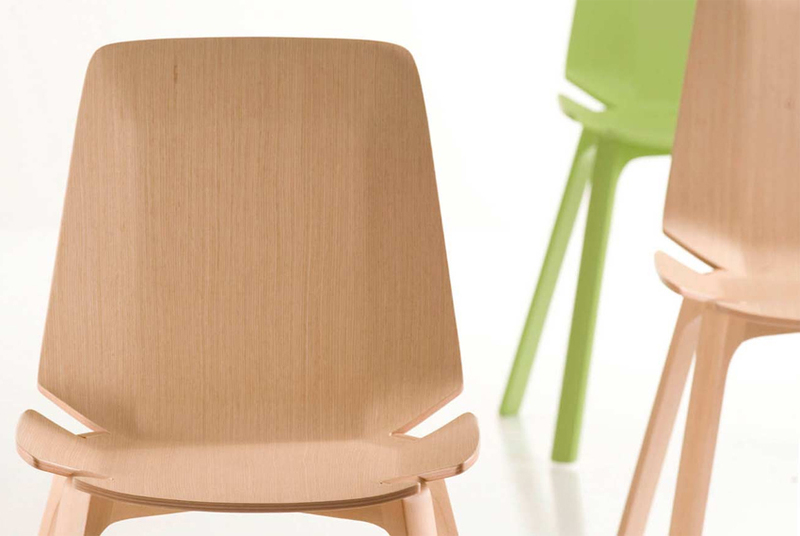 The proportions are ergonomic and proportional, the oak monoshell sits on sturdy solid legs. 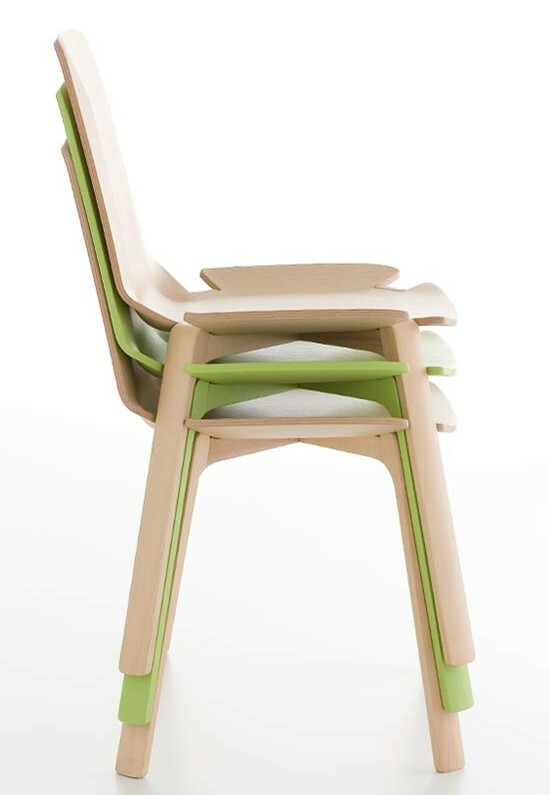 Cuts in the seat allow for the funcitonality of a stackable chair and also provide a distinct identity. 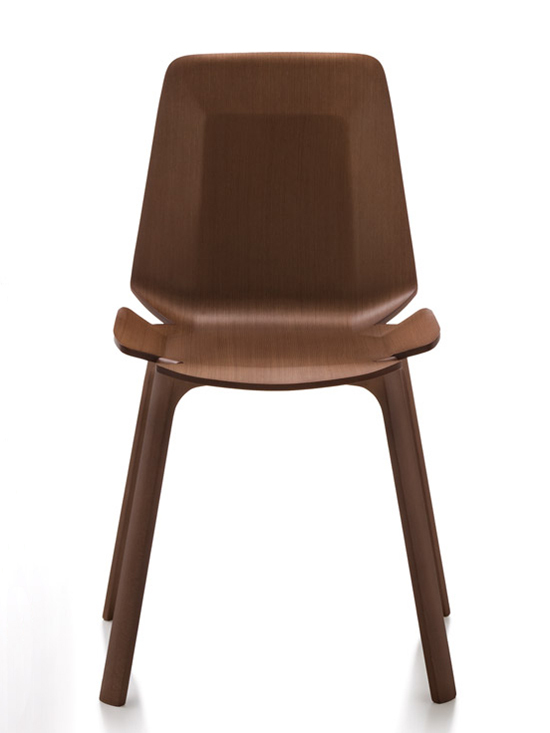 Available in the finishes: natural oak or wenge (dark stain). 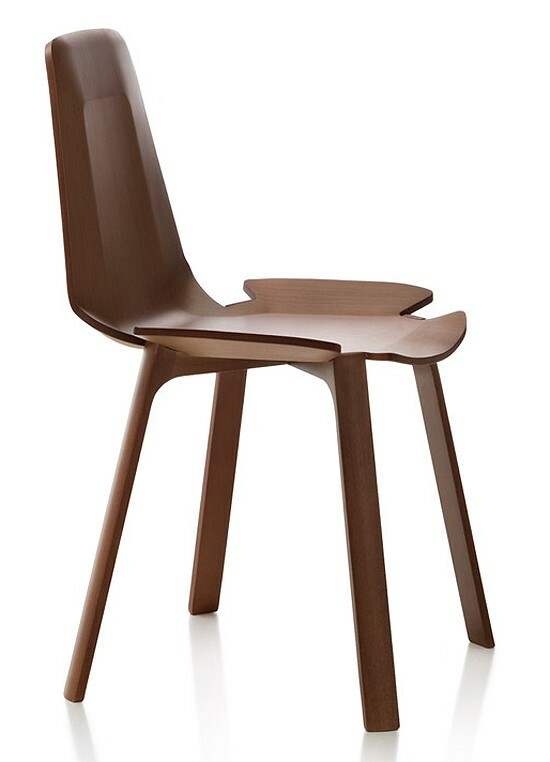 Also available with an upholstered seat, see related products below.